Logistics is as essential to businesses as any other operation like sales and marketing. The flow, supply and transportation of goods and raw material within the company and to sellers/customers form an essential part of any business model. However, with the growth in industrial sectors, the complexity in logistics has seen a similar rise. Traditional tools have been failing to cope up with the new challenges. 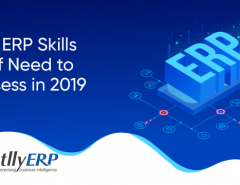 However, ERP can offer a possible solution. Inventory and logistics might appear to be two distinct operations, but they are very closely related. Efficient inventory management leads directly to better logistics. The most important aspect of it is the balance between supply and demand. Poor inventory management leads to the inability to meet demand, which is an example of poor logistics. Inventory management is the bedrock that makes logistics efficient. 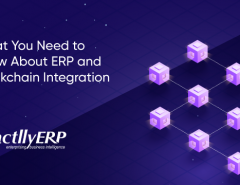 Fortunately, ERP implementation has enough features to facilitate inventory management. ERP has in-built inventory management functionality that keeps a track of every product in your inventory. PoS machines can now be integrated with ERP, so that every transaction in any outlet can be reflected in your inventory and keep you better prepared. The ability to process real-time data and perform analytics is also worth mentioning because it has a direct impact on what stocks to replenish and what to avoid. Demand forecasting is another feature of ERP that directly makes inventory management more efficient. As mentioned earlier, good inventory management would lead to efficient and profitable logistics. It would not be an exaggeration to say that everything about logistics boils down to transporting goods. Most of the decisions and strategies involved in the logistics department are about making transportation more efficient and profitable. Many challenges lie ahead on that road. Often, canceled orders incur a significant loss in logistics. Unpredictable delays could occur during transition, made worse due to poor communication. A lot of this can be solved through ERP implementation. Analysis of past trends along with real-time information makes it possible to predict orders that could be canceled and thus keeping you ready for such scenarios. 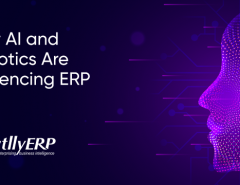 Indeed, a majority of reliable vendors ensure that their ERP tools are optimized for processing data, no matter how large. Real-time information gathering also aids greatly in communication. The central unit can always be in touch with the transportation units and any cause of delay could be resolved in a timely fashion. It is no wonder that companies employing ERP for logistics have seen a significant reduction in the cost of transport. Employee management is a challenge in any business with employees. However, in the logistics sector, employee management has become a bigger challenge compared to the rest. A report in 2014 suggested that 97 percent of the ground staff in the logistics sector leave in within a quarter, depending on multiple factors. An acute shortage of staff can often lead to huge losses. ERP solves this by keeping a daily track of employee activity. It includes the number of hours worked, amount of tasks completed, absences in a month etc. Any staff attrition is notified immediately to the overseeing department and allows them to take a prompt action. The details also help in other tasks like employee promotion, bonus, assigning projects etc. Another advantage, though relatively minor, is that you have a complete backup of all the people who work or have worked for your company. Even if the local records are somehow damaged in an accident, a copy would still exist in the ERP system. So we have managed the inventory, the process and the staff. It would seem that we have covered everything that comes under logistics. However, that is not the case. Managing the clients and customers is an overlooked but important part of the logistics sector. The primary issue that arises is the lack of clear information for the client. Clients often want to be able to track their shipment, even if delivery within the deadline is assured. Customers have a tendency to get agitated in case of delays and cancel the entire order. ERP solves this problem through a portal where real-time information about the shipment is tracked. This information can then be conveyed to the customers and clients. 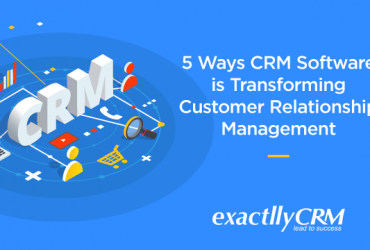 ERP also makes it easier to solve the complaints and grievance of the customers, making it an effective tool for customer management. Somehow, the actual tools of the logistics sector are ignored the most. Even though the entire logistics system is dependent on transport vehicles and the infrastructure that supports them, not enough attention is paid to them. This eventually starts affecting the logistics process and results in huge losses. So, how can a software-like ERP help hardware-like transport vehicles? One of the key features of ERP is complete control over the sub-processes that occur within an organization. Thus, it allows you to create a sub-process of maintenance and schedule it as preferred. You would be able to check details relevant to the maintenance of vehicles and associated infrastructure. There are a lot of benefits that ERP implementation can provide in the logistics sector. Given how time-sensitive the operations in logistics are, going for ERP is always a good option. Despite the initial efforts, the benefits would definitely pay off in the long run.